Women are married by 17 years old. They give birth to all their children in the kitchen, close to the cooking fire, without a skilled attendant. The villagers are from the Pa-O ethnic tribe, and are Buddhist. 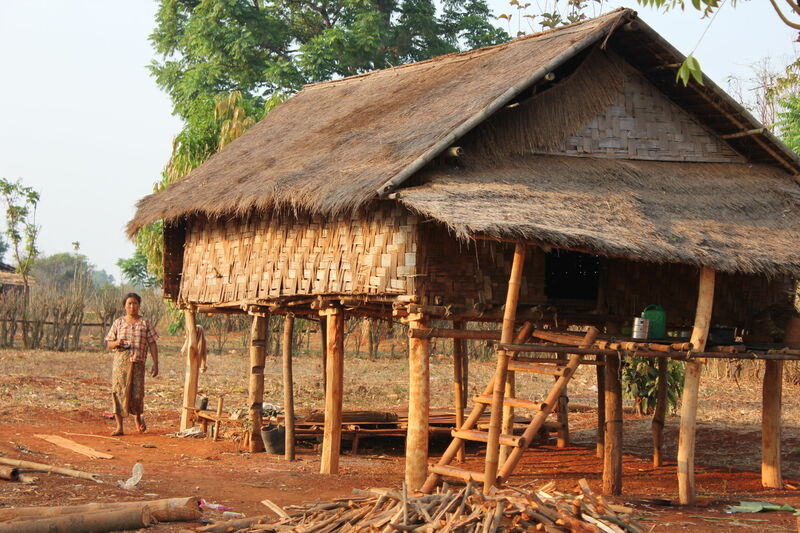 A house is made from bamboo woven walls and straw roof. Lighting is from kerosene lamps or candles. Meals are cooked on an open fire in the middle of the room. Houses usually have one or two rooms with no furniture. They are built on stilts to keep them dry during the 5-month rainy season. The house is made almost entirely from bamboo – posts and beams, flooring, walls, and ladder. The whole family sleeps on the floor in the main room. Drinking water is gathered from spring-fed ponds. Villagers often walk more than 30 minutes to gather water. Water is scarce in many villages during the 6-months dry season. Ponds are usually contaminated from bathing, washing clothes, and animal usage. 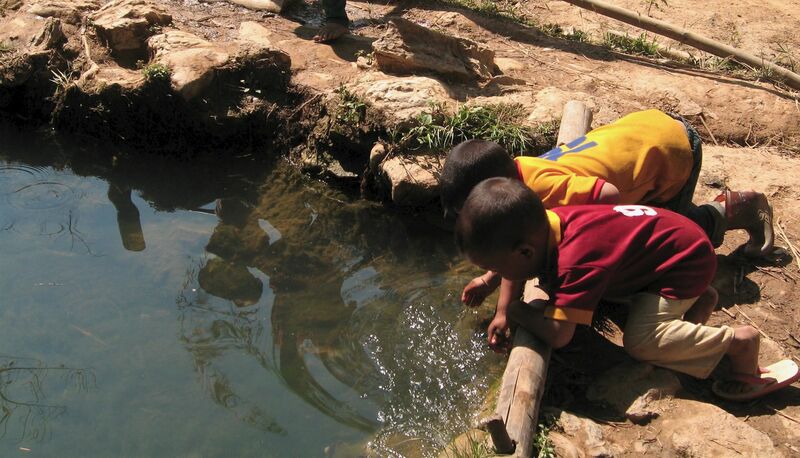 Young children are especially at risk of parasites and other water-born diseases. Family members may make up to five trips per day to gather water for cooking and drinking. Schools are made from bamboo and only have one large room for five grades. The average villager only has a third grade education and cannot read or write. The government only provides two to three teachers for five grades. 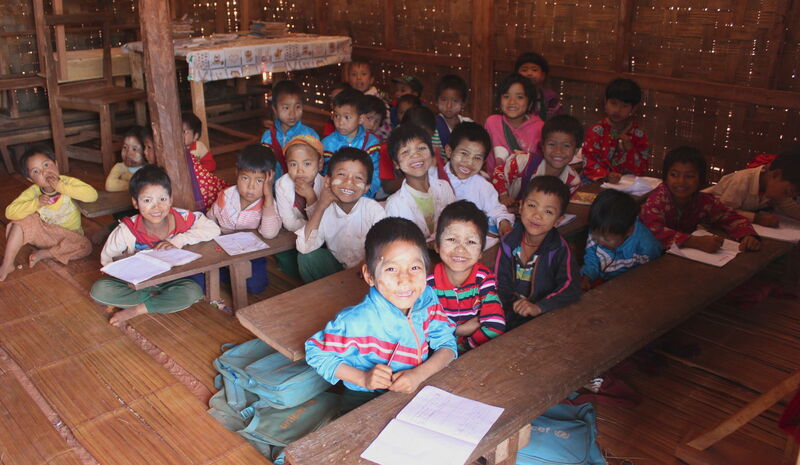 The education system is run by the Myanmar government and the curriculum is based on repetition and memorization. Schools have no learning resources aside from textbooks and students never write an original sentence. Few students attend middle or high school because it is costly and they must board away from home because there are no schools in their village. $400 – The average income per family each year. Villagers earn their living by farming. All work is done by hand – the tilling, harvesting, threshing, and hauling. 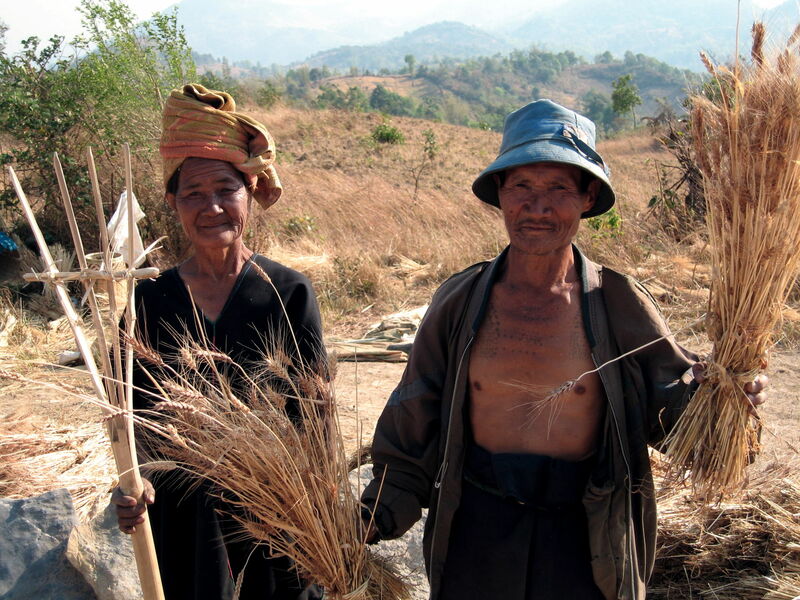 Most families are farmers and grow wheat, garlic, and cheroot leaves, the outer leaf of the local cigar. Field workers only earn $3.00 per day working for landowners.